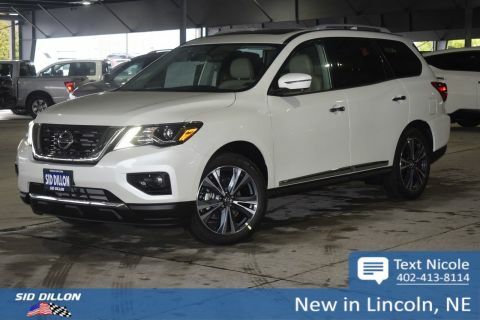 Trustworthy and worry-free, this 2019 Nissan Pathfinder Platinum makes room for the whole team. Tire Specific Low Tire Pressure Warning, Side Impact Beams, Right Side Camera, Rear Parking Sensors, Rear Child Safety Locks. 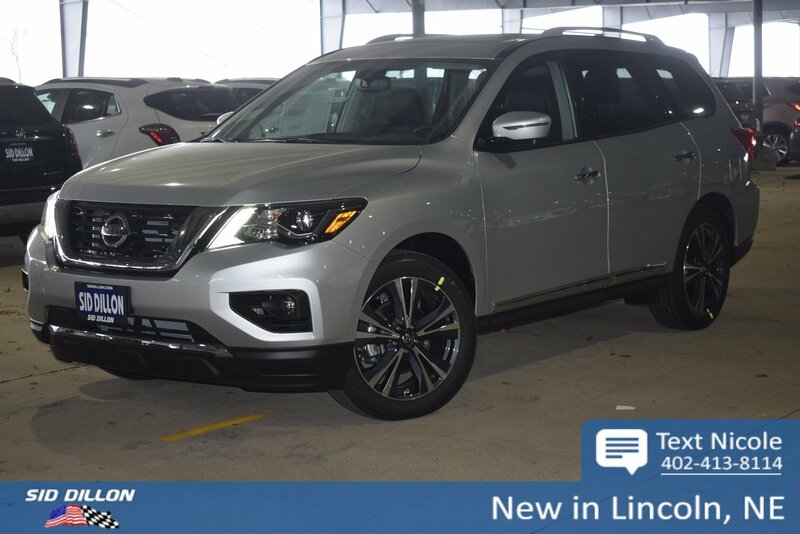 CHARCOAL, LEATHER SEATING SURFACES -inc: double stitch, BRILLIANT SILVER METALLIC, [L92] CARPETED FLOOR MATS (4-PC SET) -inc: 1st, 2nd and 3rd rows, Window Grid And Fixed Antenna, Wheels: 20 x 7.5 J Machined Aluminum-Alloy -inc: Dark metallic gray finish, Voice Activated Dual Zone Front Automatic Air Conditioning, Valet Function. 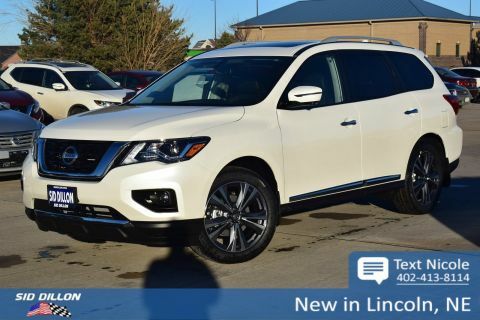 Come in for a quick visit at Sid Dillon BNH Lincoln, 2627 Kendra Ln, Lincoln, NE 68512 to claim your Nissan Pathfinder!